left the yard in April 2014 after completing 5 month Yard period. Nahlin is 96 meters and was originally a steam powered vessel. She was built in Scotland in 1937 and launched to embark on a circumnavigation which included New Zealand. 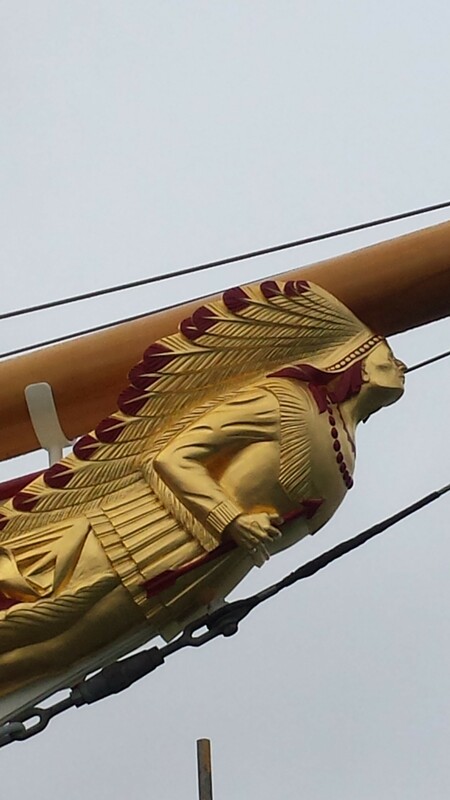 Nahlin had her topsides repainted including a comprehensive refurbishment of the gold leaf figurehead. Large portions of the superstructure were also repainted. The entire awning structure over three decks was replaced in stainless steel and repainted to replicate the original mild steel structure.